Looking for supporting .NET Core Apps, ASP.NET MVC & Core, Xamarin, Mono & UWP? Then try our Barcode Professional for .NET Standard edition! While with most reporting tools the integration is done through a barcode image/bitmap-approach, with PrintDocument class of .NET our SDK renders high-quality barcode symbols! Need barcodes for SQL Server Reporting Services? Barcode Professional (CRI) for SSRS is the one you need to look for. Barcode Professional SDK can generate barcodes in raster formats like GIF, BMP, PNG, JPEG/JPG & TIFF; in vector formats like EPS (Encapsulated PostScript) with RGB/CMYK, EMF (Enhanced Windows Metafile). Monochrome (Black and White 1 bit per pixel) barcode image generation is also supported. All barcode can be rotated at 90, 180 & 270 degrees. Barcode Professional SDK can be used in ASP.NET projects like Websites (aspx, ashx) or Web Services (asmx). Easy to use and deploy as with desktop projects. Barcode algorithms written in managed-code C# which can be used in any kind of .NET projects like Windows Forms, Console or Windows Services. Barcode Professional SDK also supports .NET Data Binding and Binary, SOAP & XML serialization features. Barcode Professional SDK for .NET was built in compliance with Microsoft's Security Development Lifecycle (SDL) requirements and recommendations that are mandatory for getting the Windows App Certificate. When you use our Barcode SDK in your Application, you do not need to worry about the SDL Tests! Don't be cheated by fake "companies" who just copy/paste open-source code and use similar names to ours. 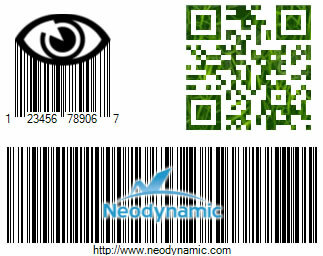 We are experts in the barcode field and we'll be here to help you on any matter related to .NET and barcode standards.